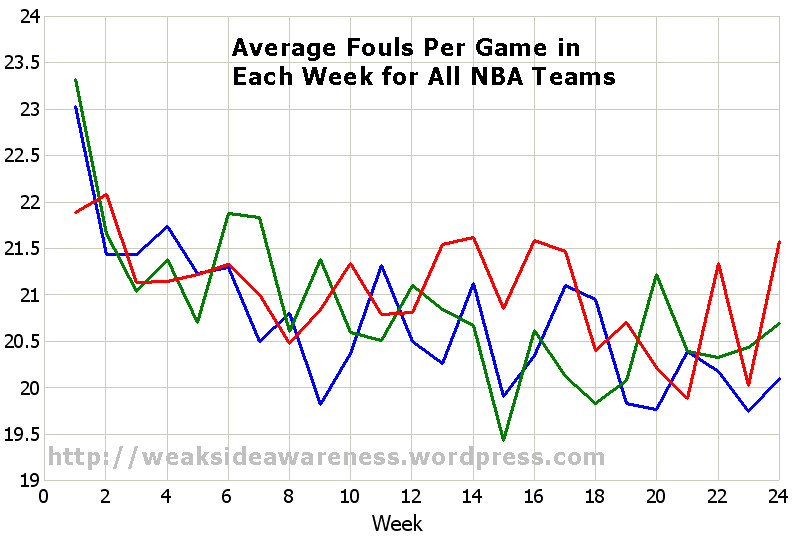 ← Close Games in NBA History, What Happened? 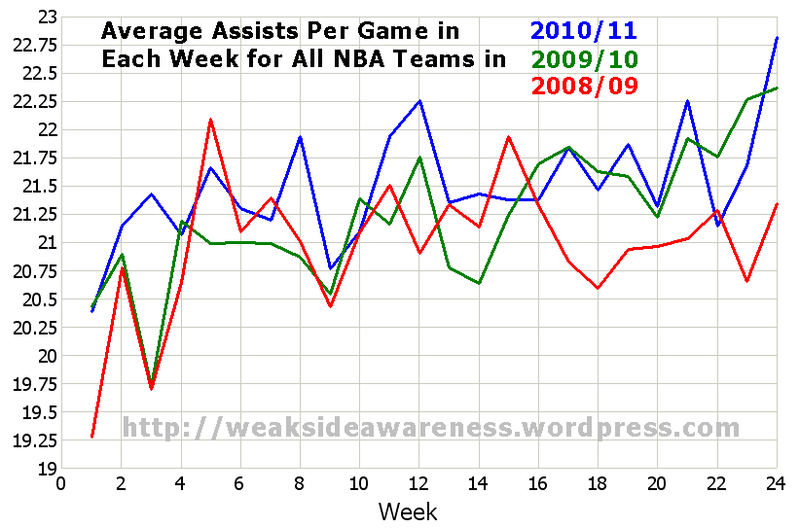 How Aggregate NBA Stats Change Through Season? 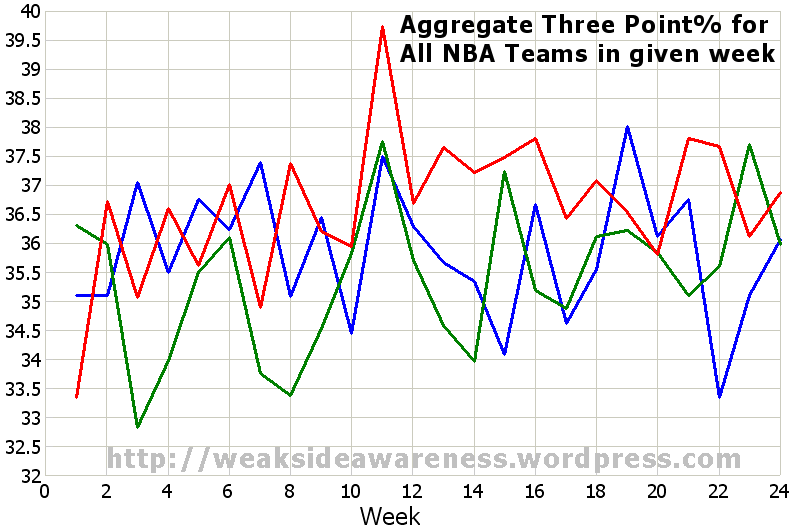 I would love to see a chart of how stats on aggregate look if we chart them over a season. 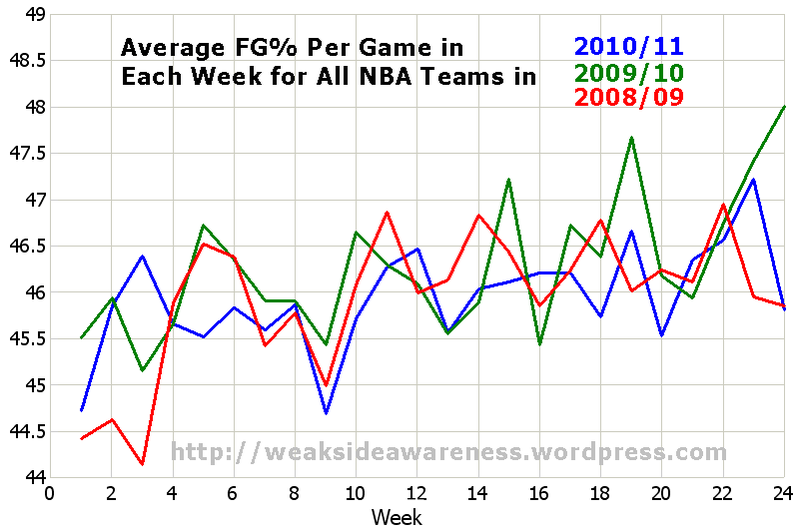 Especially when we often hear/read that “shooting picks up as season goes on” or anything similar. Is it true? How various statistics do change through a course of a season? 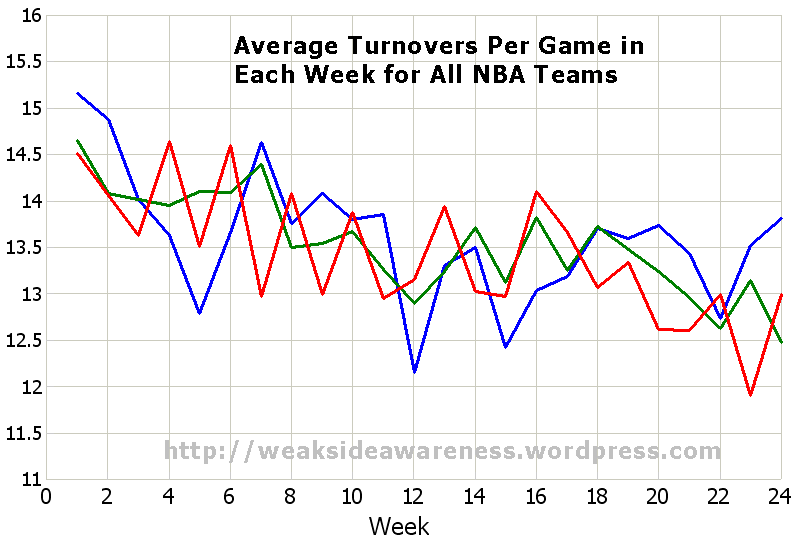 So assists and turnovers have indeed a sizeable period of time at the beginning of each season when teams either experiment with playbook or simply can’t figure out their rotations. 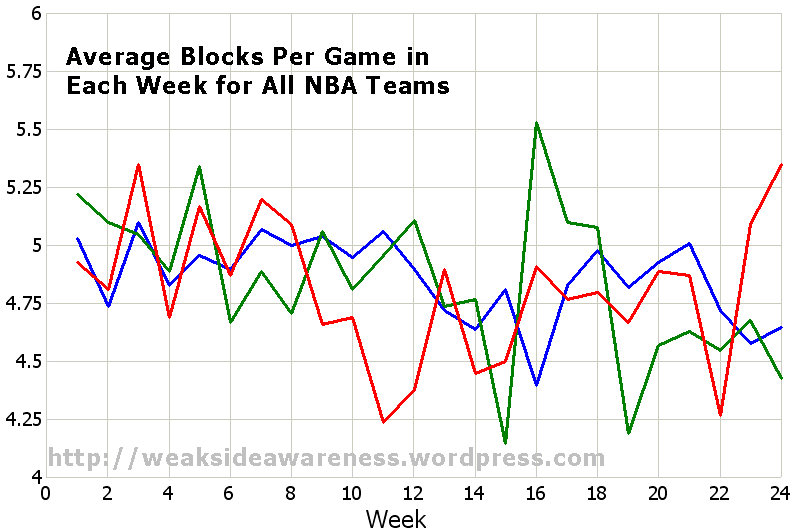 I may be reading too much out of it but… do players simply try less hard to blocks shots in the 2nd half of the season? By the way, by my method Week 14 is at the end of January. 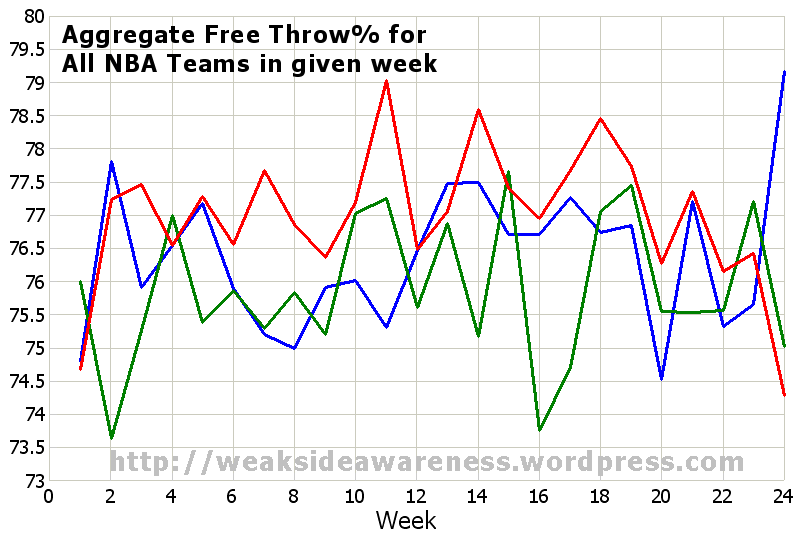 [I calculated 3P% based on average makes and attempts not by average percentage from all games]. Well, some often repeated statements… are just true. 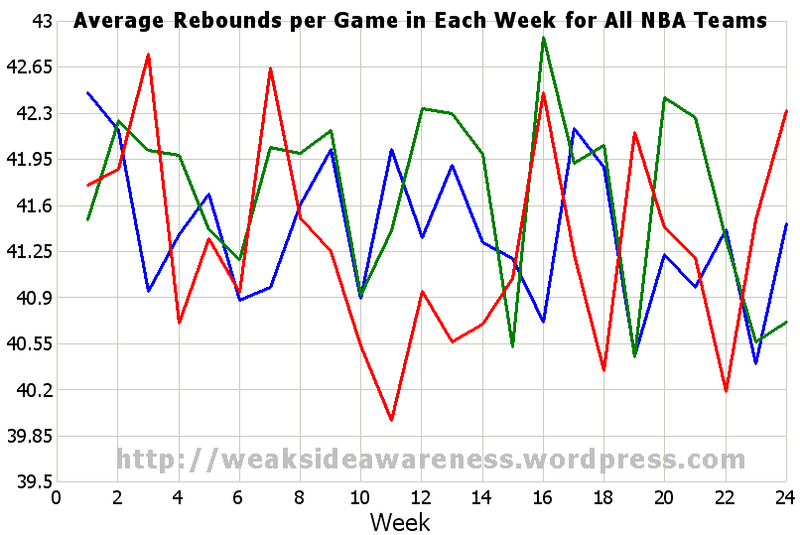 Note: rebounds per game are directly dependent on missed shots per game; they are not an independent variable like the others. 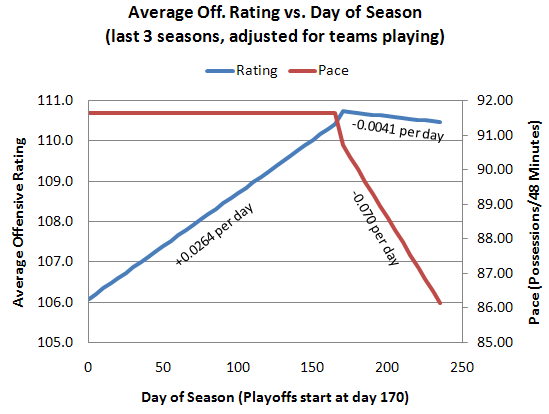 That was part of my research on the effect of rest on pace and team Off and Def efficiencies. Thanks! Also I edited your comment to make a picture visible here.